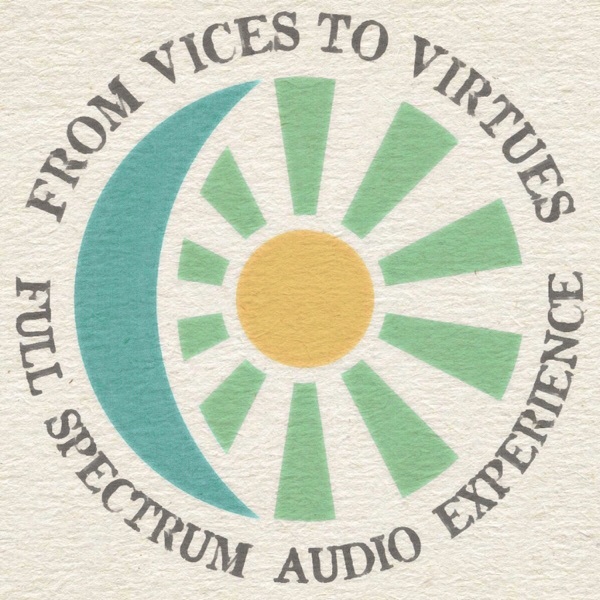 From Vices To Virtues Essential High Performance Experience | Listen Free on Castbox. David Whipple is your host in humility for this high performance variety show about radically designing a lifestyle that is essential, enjoyable, meaningful, and fulfilling. Here you will find entertainment, education, and inspiration for staying ahead of the curve and crushing it in conscious communication, healthy relationships, business and life. This is an adventure in social dynamics, leadership strategies, and better living through love. Discover why overcoming addictions to substances and habits is essential, and how to achieve your goals and dreams with courage and grace. You are invited to join the Virtue Squad in order to build and maintain healthy relationships that are mutually beneficial. This audio experience is all about creating things that matter and excellence in service to your loved ones and community. Prepare for huge perspective shifts in the way you think and to feel what it's like to create a life with more purpose and passion. Wherever you're at now, you are beautiful and worthy of the best things ever. This variety show is intended to uplift you, challenge you, support you, and bring you to a deeper state of self development and greater connection with your family, friends, and teams. This episode is for those who want to become leaders, and for current leaders to learn how to improve their strategies. Listen and learn how to balance the complex qualities of leadership so that we can lead those we care about to something essential, and enjoy the process.